A Navy veteran living in Florida has lost everything he and his family owned after his house was torched and tagged with anti-Trump graffiti. And just before Christmas! Luckily, no one was home during the fire. There are lots of questions surrounding a fire that gutted a home on Johnson Street in Plant City overnight. Along with heavy damage, anti-Trump graffiti was sprayed on the house, inside and out. 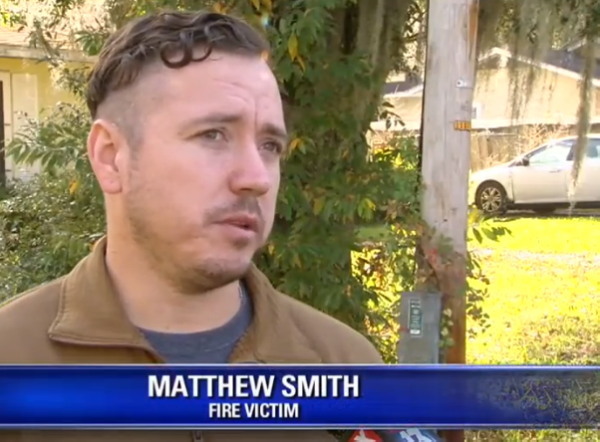 The family who lives there was spending the night with relatives, but Navy veteran Matthew Smith says his home was targeted because he is a Donald Trump supporter. But Matthew says he’s been very active on Facebook, with posts supporting Trump, the Second Amendment, and other conservative causes. Let’s hope they catch the people who did this quickly.